WWE Champion Kofi Kingston has finally responded to WWE Hall of Famer Billy Graham's comments on his size. Kingston stated that no matter what people say, they'll see him as WWE Champion the moment they turn on their TV. 'Superstar' Billy Graham had recently put up a post on his official Facebook page. The WWE Hall of Famer stated that Kingston going to WrestleMania 35 to compete for the WWE Title is a joke. He also found it laughable that Kofi Kingston and Daniel Bryan, two lightweight Superstars, were competing for the top title on The Grandest Stage Of Them All. Graham later went on to suggest Kingston to start doing steroids to gain some weight. 2-time WWE Hall of Famer Booker T bashed Graham for his comments. 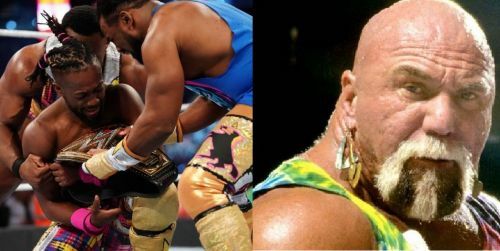 After being a silent spectator for a while, Kofi Kingston has finally responded to the Hall of Famer's scathing comments. In his recent interview with Newsweek, the Dreadlocked Dynamo opened up on Graham's comments. Kingston said that although he hasn't seen the post himself, he did hear about Graham's comments from other sources. Kofi remained classy throughout the interview and didn't take Graham's name even once. He added that people are entitled to their opinion, but at the end of the day, he is the WWE Champion and that's a fact. I’ve heard a few things through the grapevine. Honestly, I haven’t seen them myself. People can say whatever they want. But as long as they turn on the television, they will see me as champion. That’s really all that matters. And I don’t have a comment about people’s opinions. People are entitled to their own opinion as far as what a WWE Champion should be, but the fact is that I am WWE Champion and that’s a fact. It is what it is. Billy Graham didn't do his reputation any favors after his recent antics on social media. Kofi Kingston is on top of the wrestling world at the moment and here's hoping he gets to keep the belt for a good while before dropping it. What are your views on Kofi's response to Graham's comments?